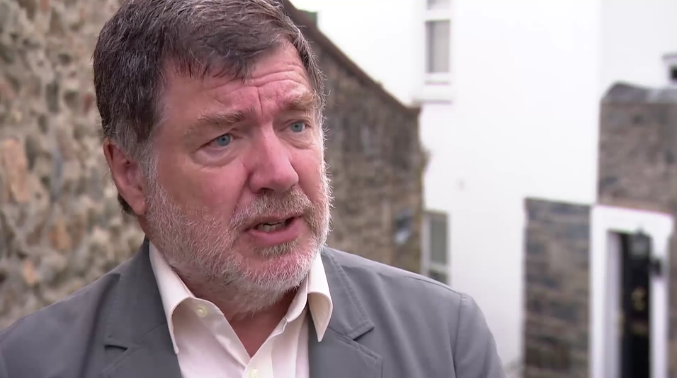 Professor Mike Barnes is without doubt the UK clinician with the most expertise in the use of cannabis as medicine. He should have been first choice as a member of the NICE committee charged with developing cannabis prescribing guidelines and, as reported here, its rejection of his application was greeted with astonishment. However, NICE relented and invited Professor Barnes to an interview. Now they have rejected him again. Mike was responsible for obtaining the first medicinal cannabis licences for Sophia Gibson and Alfie Dingley and he has been involved in countless behind-the-scenes efforts to assist others. He joined the advisory board of CLEAR in July 2016, is an ambassador for the End Our Pain campaign and has since contributed his expertise to several other organisations including UPA. He is also founder and director of education at the Academy of Medical Cannabis and founder of the Medical Cannabis Clinicians Society. Few will regard that as a credible or logical reason for not having Mike on the committee. It’s actually absurd and really makes one wonder who makes these decisions and what planet they are on. If there were even a few alternative candidates to consider then it might make some sense but there don’t appear to be any alternatives to Mike Barnes. If there is anyone else in the UK with his clinical qualifications, knowledge, experience and expertise, no one at CLEAR has heard of them. It’s foolish and irresponsible to reject the only real source of knowledge that will command respect from other clinicians and for such very flimsy and poorly thought through reasons. How many other clinicians on other NICE committees have commercial relationships with pharmaceutical companies or other medical organisations? How many have also expressed their professional or personal opinions on matters of medical policy and practice? Have they been disqualified for the cardinal sin of holding an opinion? Does NICE want people on this committee who are insufficiently informed or so shy that they do not express opinions? Could this happen anywhere but in Britain? However patriotic and loyal one is to our country, this sort of crass stupidity and hypocrisy seems to be a special gift of the UK civil service. Its ‘Do Not Do Recommendation’ on Sativex is directly relevant and is based on on a flawed assessment of cost effectiveness which itself is founded on ignorance of the way cannabis works and a determination not to give proper weight to MS patient reports of the benefit they gain from Sativex. None of this is to overlook the unethical and profiteering price which GW Pharmaceuticals wants to charge for the medicine. Pharmacologically identical products are available from US and Canadian medical cannabis dispensaries for about one-tenth the price of Sativex. 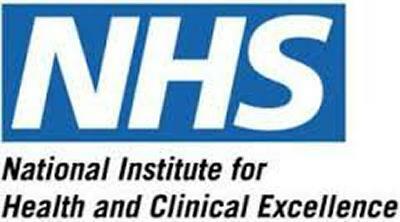 NICE has also failed dismally on the Freestyle Libre glucose monitoring system for diabetics. This revolutionary new system not only makes life much easier for thousands of people, doing away with the need for endless finger pricking, it also dramatically improves blood sugar control promising huge reductions in the long term cost of diabetes to the NHS. It’s been available since 2014 and thankfully will now be prescribed on the NHS from April 2019 but for five years NICE has dithered, waffled and procrastinated on it, exactly as it is now doing with cannabis. Until now, just as with cannabis, it has claimed insufficient evidence but the real problem is NICE has a blinkered view and fails to look widely enough for the evidence it requires. In a remarkable parallel with the way it is handling cannabis, NICE claimed there was no evidence that the Freestyle Libre led to better blood sugar control in type 1 diabetics, But the reason it claimed this was that there was no study supporting it that met NICE’s criteria and by impeding uptake of the device it was making such a study virtually impossible. NICE totally failed to give any weight to the many case reports of really dramatic benefits – exactly as it is doing with cannabis. So, while our prime minister and the Home Office drugs minister have a direct financial interest in the UK’s only commercial producer of medicinal cannabis, yet direct and control drugs policy, when it comes to caring for patients, the only British clinician with relevant expertise is disqualified by a connection with an overseas cannabis company and for expressing an opinion than cannabis could help many people. As a footnote, I should declare that I also volunteered to give my time to the NICE committee as a lay member and I too was rejected. It’s not for me to question its judgement unless I have good reason to but given its track record with Mike Barnes, I do have legitmate concerns. I first gave expert evidence to Parliament on the subject in 1983 and again in 2012 and 2016. Since 2011 I have worked intensively with hundreds of people who use cannabis as medicine and I lead the group that represents more such people than all other UK groups combined. I am also the author of the study Medicinal Cannabis: The Evidence, which has been translated into three languages and has been cited many times throughout the world. I know of no one in the UK with more relevant experience than me. Say what you like, this sounds more and more like a stepping stone towards reversing the recent rescheduling of cannabis from schedule 1 to schedule 2 of the misuse of drugs regulations 2001, NICE are showing themselves for what hey are, a mechanism for ushering in privatization of the NHS by increasingly classifying medicines and related items as “not cost effective for use within the NHS”. It would appear that their only criterion defining “acceptable evidence” is such evidence that would justify the rejection of a medicine regardless of the evidence that favours its use. I notice the link for your book is blocked. Shame. I like intelligent minds. That’s it. Same weblink. All I get is a very white page. Thanks anyway. At least I can read your blog! I’m having no problem whatsoever in downloading the document. Unfortunately the problem here is simply that Mike Barnes agenda is not commercially or financially oriented his only interest is to do the right thing according to the evidence and help patients. Plus he was right all along, these people probably looked down on him as an eccentric and deluded in the past because of his expertise on this subject of Cannabinoid medicine so I doubt they would want to take advice from him. My response to their blinkered decision would be unprintable.. It looks like I was way wrong and made a dumb arsed assumption, Mike Barnes agenda does involve financial enrichment through his activities and interests in Cannabis medicine. According to the Mail On Sunday he was rejected because of a conflict of interests, due to his involvement with some company in Canada and with his own limited company, through which he has applied for a license for his company to either cultivate or import Cannabis to use to create products/medicines. He has sold his company and if the license application is successful he will be paid another 3 milllion. I overstand Babylon has to get their things from somewhere, and people want to eat good an mek more life, but this does not look good at all, especially from the perspective of the ignorant and anti Cannabis mob. This demonstrates very clearly why human evolution is such a painfully slow process. The article in the MoS is a classic British gutter press smear. Carefully and cleverly phrased to pass the test of strict accuracy but wildly misleading in the impression it creates. Yes, Mike has a deal with Wayland that may, if everything goes right, make him a lot of cash. Immediately, as I understand, it is all about shares. It’s all potential, nothing realised as yet. I have no problem with this. Why would anyone? I am doing the same thing myself. After years of putting my time in on a purely voluntary basis (and a great deal of my personal cash) I am now starting to get consultancy work as cannabis moves into the mainstream. I hope and intend to make a good deal of money and secure my and my family’s future as aresult of my knowledge and experience. I agree the article is toxic garbage, it seems to me that being an ejit is a requirement for all employees at the Daily Mail and Mail On Sunday, what they produce has always been tomorrows arse wipe and chip wrapping. At the end of the day whatever deal you or Mike have negotiated is your own bees wax, it is being done in a place where Cannabis products are legal for medicinal and recreational use. These imbecile journalists do not have the intelligence to overstand this. Right now here in the UK criminals are the only people making money illegally from Cannabis, these clown journalists and careless Babylonians listening to them need to overstand once it is legal making money from it will also be legal as well. Right now the only anyone in the UK can make money from Cannabis is to work outside the UK, but this will not always be the case, it is only a matter of time before religious and recreational use is legalised here. Whether the end product is for medicinal, recreational or religious use it has to come from somewhere and someone has to grow and process it, they require pay for their labour. Just like ejits writing toxic articles expect pay. And all mission statements boil down to – “all babies must eat”.